Love, doesn’t this word sound the most melodious word in the millennium? Just as salt looks like sugar and vodka look like water, Throughout our lives, we make a lot of mistakes and gain experiences but all we have to do is to learn because some lessons are learned only through heartbreaks. 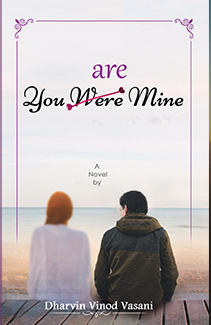 Join Ray and his story how he fell in love and remember that first love of yours which made you believe that there is something good in this world, the first time you blushed, that first smile, and the first time when your heart beat faster when you fell in love. Let’s go back to nostalgia and feel it all over again. Let’s find a little of ourselves in the characters of the story. Let’s fall in love again, with the most beautiful things we come across, as we read. 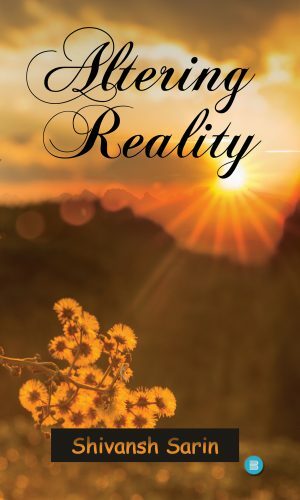 Altering Reality is a journey of life. You live it inch by inch while sipping the words into your soul. It is not a book about beautiful horizons and happy endings. It is about the different colors of a palette, some darker some brighter together making it a complete picture. A picture with the true shades of life. 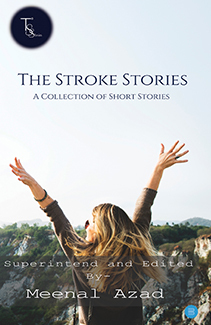 “The Stroke Stories” is a collection of short stories from various aspiring writers, collected and put together by Meenal Azad. The anthology will be a rollercoaster ride, which wouldn’t let you sit still for a minute due to its various genres. The book is the best of all worlds, be it fictions, or paranormal. Millions of people and Millions of stories.Some pen it in paper and some keep it in the heart.The writers are the Former ones.This book “The Stroke Stories” is about those 35 writers who inked down the stories in words.The Book brings Infinite emotions with those stories and captures the heart, mind, and soul at the same time. 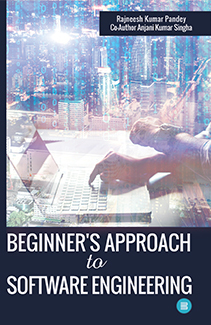 This book is written for beginners who want to understand it in simple language, with lots of blocks diagrams, putting the main focus on coding standards and methods to be followed. The book is designed primarily for a one-semester course in software engineering for the undergraduate students of computer science and engineering. It will be useful for MCA, BCA, Bsc computer science and its related courses. 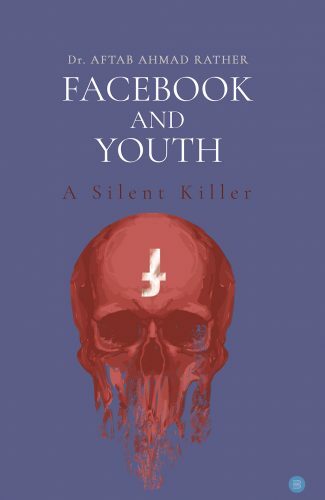 This book throws light on the naked truth of social networking addiction and will enable its readers to know how Facebook is being used by youth for the exploration and presentation of self in order to manifest various facets of their life to an online domain. Want to know more? Go and grab your copy today! 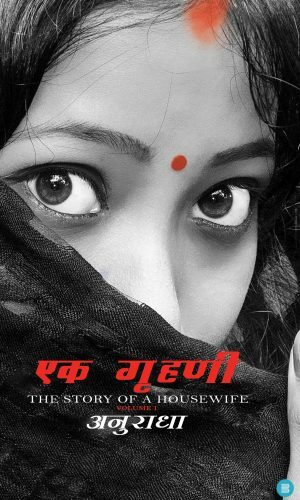 The book is about the dark life of a housewife behind the closed doors. This book is an irony on our Indian society. Grab a copy today! Time for a reality check! 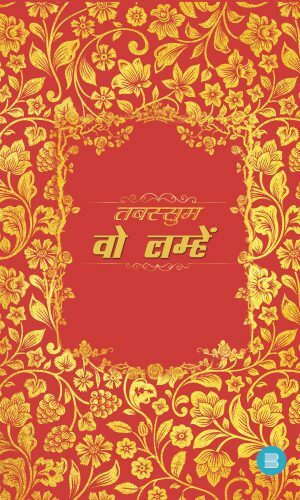 Jeevan Ek Kathputli is a Hindi novel based on values and culture and the most important thing in our lives, our families. It’s when we lose a family, we actually realize the true value of it. A must grab this season! Buy your copy today! Written by a 15- year old boy. 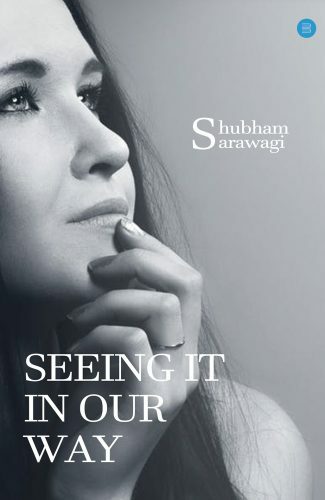 His motive through this book is to make people see life in different ways. He chooses all those situations through which almost all go especially, teens. He wrote the book not to motivate but to make people see life in a different way. 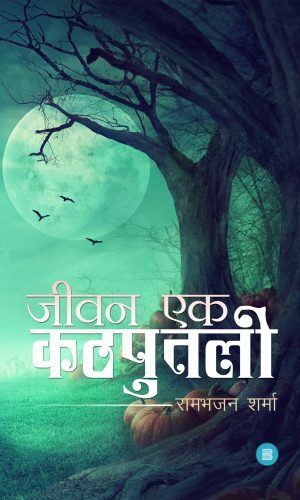 The ‘Shabdon Ki Lehrein’ is all about human feelings and sentiments. It sensibly describes human acts and behavior in a different situation of life. Issues related to environmental degradation, terrorism/Maoism and socio-economic scenario of lower/lower middle class of society has been touched in a poetic manner. There are prayers as well as complains/questions to the Almighty regarding the distorted behavior of His creations.  There are tears that flow in different situations and express the various aspects of life.  It is bitter and sweet, sour and tasty– is a truth teller of colors of life and society.  Motivational poems are inspirations to get rid of disparity, hopelessness, tension, and depression. It is a ray of light that penetrates into the darkness of sorrow, plight, frustration, and loneliness; dominant prevailing in society.  It is a rainbow of life spanning from childhood to old edge. A must pick up for poetry lovers! 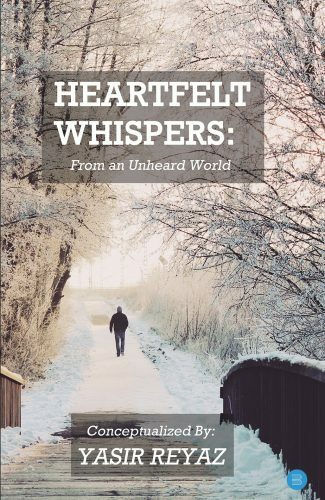 An excellent “introduction” for those who have the desire to understand the meaning of brutal heart breaks and are willing to stand up again through the deepest ocean of the poetry. 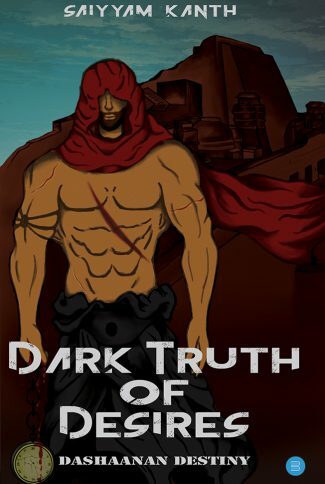 Authors are attempting to shine a light on to the darkest side of life and the unshared thoughts which are prisoners of our mind. Poems contributed in this book reflect writer’s sentiments and inclinations towards art. 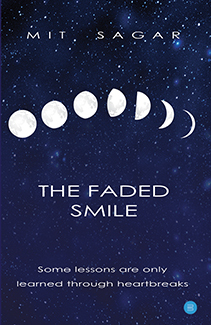 This book is an execution of all the desolation and grief in the most beautiful manner. Words are of course the most powerful drug used by the mankind. They can create and at the same time, they can destroy. They are not just mere words on the paper rather, a refuge to your midnight blues, the symphony of suffocated voices and remedy to your desiccated eyes. Grab your copy today! A must read! 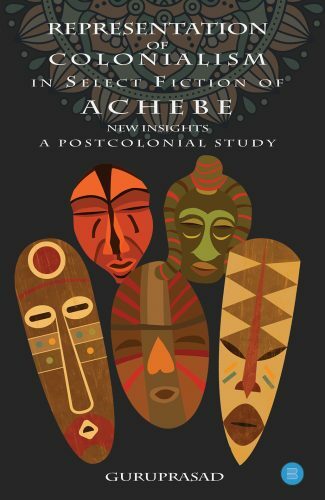 The book entitled Representation of Colonialism in Select Fiction of Achebe: New Insights perceives on the impact of colonialism in the African society in the postcolonial framework. The spread of colonialism across the world fragmented the manifold dimensions such as geography, psyche, culture, identity, society, language, religion, education, family and literature. People have been displaced and scattered around the world due to colonialism. It has also made a scar in the history of Africa. Colonialism brought about the migration of mankind around the globe. African history has been influenced by colonialism and it has witnessed an unprecedented flow of people, capital, and technology. In Africa, the latency of people, goods, and resources began with European colonialism. In the guise of colonialism, the colonizers forcibly acquired native Africans lands and also controlled the people, wealth and resources. Achebe as an insider attempted to present an authentic interpretation of the African culture and tradition. He was provoked by the Eurocentric vision of the African portrayed by the Europeans in terms of a savage inhabiting a dark continent. He captured the disruptive and devastating impact of the colonial encounter of the African with the British colonizer. Achebe captured colonialism and their effects on African culture in his creative writing. A must pick up for History lovers this season! 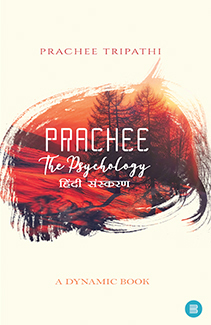 Mythocharelife implies Mytho-Char- rel-life i.e Mythology+characters+relations+ life. 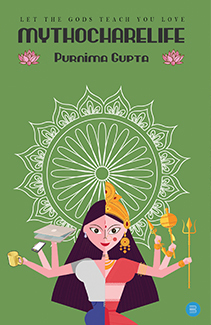 In this book, author has attempted to pick characters from Hindu mythology and how they have significance in our lives and how we have not concentrated on the relations that they are showing us. By the way of this book, the author wants to highlight on certain traits of people and the relations we have in our life so that if not learn then definitely at least we give all that a thought. Grab this book today to know more. Hurry up! The book, Bliss of Supreme Knowledge. This is a compendium of 4 books expounding spiritual knowledge. 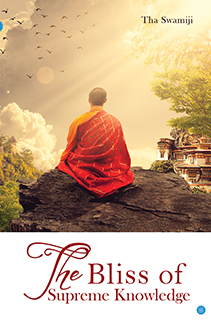 The first book narrates the significance of thirty-six principles. 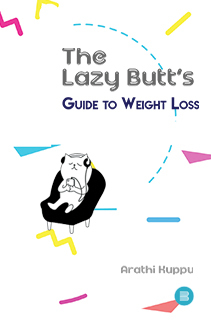 The second book logically interprets various principles by 21 illustrations. It explains the character, words spoken, the quality and the nature of the enlightened person. The third one state that a heinous sinner afflicted with all the disease gets cured by the Divine vision of the Realized Master. The last book deliberates the nature of the Ultimate Reality and elucidates practices as a means to obtain The Absolute Bliss through inquiry are narrated. Anyone who reads all the 4 books shall attain the whole knowledge of Self Enquiry and Self Knowledge. It is certain that such person would attain Equanimity, live a joyful emancipated life free from all miseries and end transmigration. 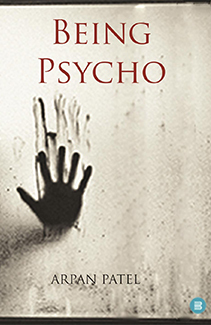 The book is about the evergreen dilemma between the mind and heart. One should choose whom, one’s own happiness or family’s happiness? A must pick up this season. “Love is all it takes” is author’s beautifully crafted debut explaining how the feeling of love can be the most powerful emotion. The book itself will give you the understanding of being in love. Hurry up! A must pick up this winters! Often always, those charming rose plants showering with inviting bloom colorful and aromatic roses end up shedding all their beauty and flowers once they are bought and potted in our home terrace or balcony. 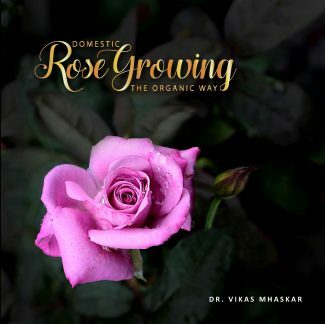 Read on, explore and get the maximum from this book, written most specially for every avid rose lover around. Happy Rose Growing…. 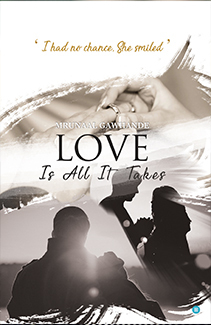 The book is an amazing love story and is a must pick up for every reader. Go and grab your copy today. Happy Reading! We worship the wrong one and love the perfect.We stand up to treacheries as we experience failures.We get hurt and cry the nights.We discover delight seeing the butterfly flight.This is our identity and I am proud that I am still a human. The stages, a human experience, are the reflection of a myth which he wants to live. He is continually wishing his life to be something. Something which he couldn’t have yet needs to have. 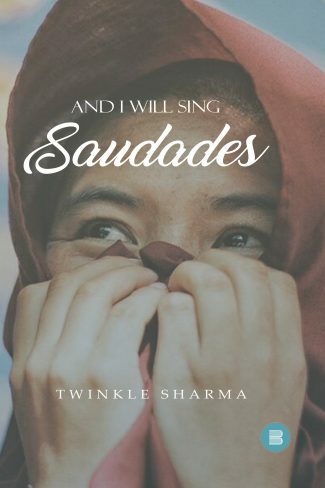 And, this is what truly matters to Saudade. What are you waiting for ?? Saudade it was, it is and it will be, until the future ends….HURRY UP !! OFFER LIMITED!! 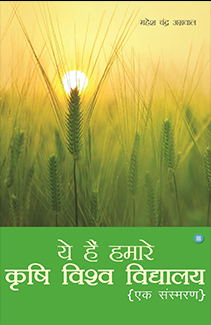 This book is about the agricultural history and economy of India. Having a keen interest in research, the author deals in an intricate manner with the difficulties that are seen in the agricultural sector. 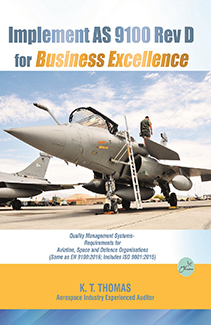 Explained in plain English, it helps you understand clearly, the bench marked best practices of aerospace quality management system and requirements being followed by more than 19,000 organisations in the world, including all prime industrial organisations dealing with aviation, space and defence equipment. Interleaved with interesting anecdotes, lessons learned and examples of experiences of 10 years of academics, 30 years of quality assurance in aircraft industry and 10 years of aerospace audit, this guidance book is being released on the occasion of the 50th anniversary of his exemplary service to the nation and the aerospace industry. In today’s busy world, toddlers and kids need us to step into their shoes and understand them. The young growing minds would come up with flying colors if the negativity inside them is molded into positivity. 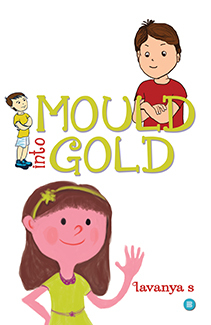 This book is a baby step towards bringing the best out of both parents and children. 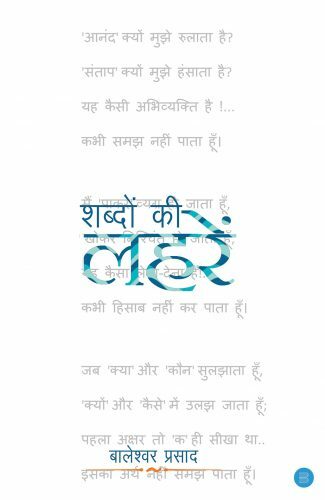 The book is a combined rhythmic composition of poetry, story, illustration, songs and psychological ideology in Hindi. Must Read for every age group! mob of people, things that often happen to everyone growing up. about the love of family and guidance of sisters, warmth of friendship and comfort of strangers. 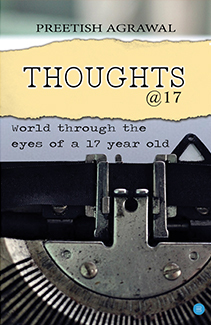 a teenage everyone has once been in his life. The book is a beautiful fable of true lovers, and strengthens the fact that true love stories always manages to reach their true fate of love. 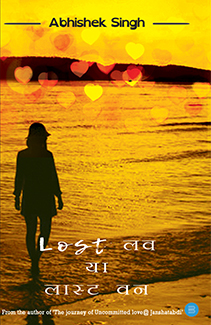 A must pick up for every love story lover! Current day,all the nine masters are dead on the same day at 15:03 hours.That was next to impossible.The nine books of infinite wisdom written by Ravana and received by Laxman,while Ravana was counting his last breath.Laxman gave those books to…………..EXCITED to know more ?? What are you waiting for?? 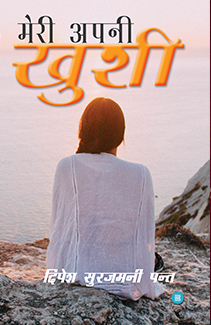 Go and grab this amazing Hindu Mythological story today !! Hurry up!! 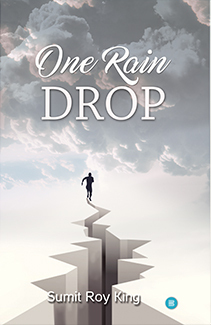 One Rain Drop is a scientific thriller.One can travel with the characters till the end and get thrilled. Go and grab this amazing thriller today and experience the thrill.